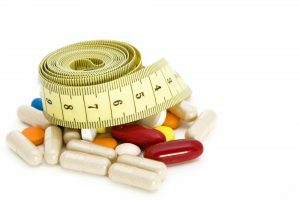 Weight Loss Drugs: Do They Really Work? Everyone wants a quick, cheap, and easy way to get slim. Magic pills are the center of dozens of weight-loss ads. 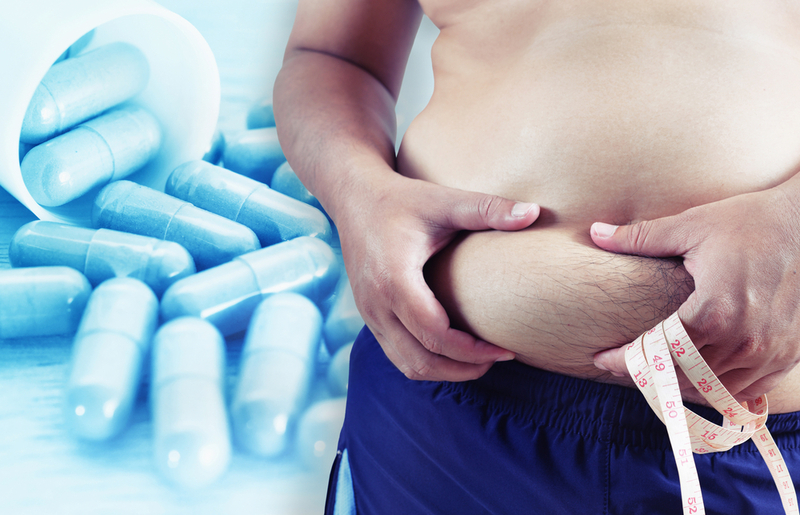 Although there is no such thing as a miracle pill, so it’s time to look at the legitimate facts about weight-loss drugs. Prescription weight loss drugs are reserved for people who haven’t been able to lose weight through diet and exercise, which can be caused by certain hormonal disorders. These drugs aren’t meant for people who want to lose weight to look better. Your doctor may give you these drugs if your BMI is higher than 30 or have a serious medical problem related to your weight such as diabetes or hypertension. Gastric bypass surgery might be an alternative to prescription weight-loss drugs. Over-the-counter weight loss drugs are a hit or miss, for they may produce some results, but not as intense as their advertisements claim. Despite enticing commercials, weight loss pills are not for everyone, and often come with unfavorable side effects. Anything like sprays, syrups, or gummies are most likely a scam. Remember, those before and after pictures can be photo shopped. As stated before, there is no such thing as a miracle pill. You must maintain a low-calorie diet and regular exercise in order for the medication to work. On average, these drugs will decrease total body weight by 5 to 10 percent. This may sound small, but modest weight loss can improve your health by decreasing lipid levels and blood pressure. Most of these drugs come as a pill and are consumed orally. Once you step taking these medications, you may put back on the weight you lost. This is why you should always stick to eating right and getting exercise. Those two lifestyle changes promote weight loss on their own without a pill. In general, these drugs will suppress or decrease appetite and give a feeling of satiety. This will make you want to eat less, thus cutting back on calories. Some may block the absorption of fat or slow the process of gastric emptying. All of these functions can assist in weight loss. Contrastingly, these drugs have some unwanted baggage. Common unpleasant side effects include headaches, increased blood pressure, dry mouth, and nausea. More severe ones consist of constipation, intestinal cramps, and diarrhea. If you are taking weight loss drugs and you start having these symptoms, stop taking them immediately and see your health professional for further instructions. There are a few brands and medications everyone knows about. Garcinia Cambogia was popularized on the Dr. Oz show, but its weight loss effects are so small that it might not be physically notable. Raspberry ketones were also a fad, since there’s no evidence it promotes weight loss for humans, only for rats who ingested large doses. Yet some products keep true to their promise. Studies show the fiber called glucomannan can help people lose weight and improve health. Again, glucomannan must be accompanied by a healthy diet. Natural solutions are all the rage. Green tea and its extract is shown to slightly increase fat burning and can even help you lose fat in your midsection. 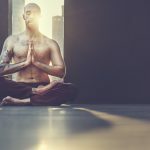 On the other hand, the serious risks of drugs such as synephrine and Conjugated Linoleic Acid (CLA) outweigh the weight-loss benefits, so avoid those at all costs. Never take a drug that will do more harm than good. 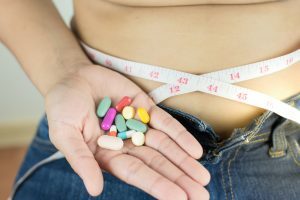 How safe are weight loss drugs? These drugs are either approved for short term use or long term use. The short term lasts less than twelve week on average, and are classified as controlled substances due to their likelihood of being abused. If you have heart disease or hypertension, their side effects may be harmful, and it is recommended to stay away from short term drugs. The most common and controversial drug for long term use is Orlistat (Xenical), which you may also know from the drug store as Alli. You must limit your fat intake when taking Orlistat to reduce unwanted side effects. The label will advise for alertness to the signs and symptoms of liver injury, since some people reported rare cases of serious liver injury. Lorcaserin (Belviq) was initially taken off the market because it damaged heart valves. In recent years, doctors discovered there is no evidence of this harm. However Belviq may increase your heart rate, so be sure to visit a cardiologist before using this drug. These are just two cases, but other drugs have been said to increase the risk of birth defects and seizures. The newest FDA approved drug for weight loss is called Liraglutide (Saxenda) that injected rather than orally taken. The FDA does require doctors to be informed of its risks. While an animal study showed tumors in thyroid glands, it’s unknown whether this drug causes such tumors in humans. If you fit the criteria and want to begin using weight-loss drugs, talk to your doctor. Together you can assess the benefits and risks of this treatment. Always consult with a professional before making any big changes to your health. You should also think about the cost. Not every health insurance plan will cover the expenses of weight loss drugs, meaning you have to pay out of pocket. This may serve as a determining factor whether you want to choose weight-loss drugs. Even when considering weight-loss drugs, the best way to lose weight is through diet and exercise. Changing your eating habits and level of activity will most likely make a difference. Other ways to improve your health without medication is to limit drinking, stop smoking, and get enough sleep. Weight-loss drugs are not magic, but they can aid in necessary lifestyle changes. The real challenge is to keep the pounds off, specifically when you stop taking these drugs. Most people end up regaining the weight they lost. Although once you develop willpower, a positive attitude, and truly commit to improving your nutrition, fitness, and overall health, you can lose weight safely and effectively.